V2 Cigs 20% Off Memorial Day Sale - Cool Savings, Hot Deals! With Memorial Day just around the corner (this Monday), V2 Cigs has wasted no time in setting up a special sale for all you vapers. This Memorial Day, they're offering a 20% off storewide discount. That's right, 20% off everything you purchase! One Day Only. Don't Hesitate! The V2 Cigs Memorial Day sale will give you 20% off anything and everything. It includes all starter kits, flavor cartridges, e-liquid, accessories, and even items that are currently on clearance special. The sale takes place from Midnight to Midnight on Memorial Day (May 28, 2012). This V2 Cigs sale is for for one day only, so don't hesitate! The V2 Cigs Memorial Day sale is the perfect time to get your favorite Gemini a Starter Kit as a birthday present so that he/she can finally make the switch from smoking to vaping. Trust me, this gift goes over very well! And since ecigs are cheaper than tobacco cigarettes, it'll also same him/her a lot of money in the long run. Priority Mail Shipping Is Back! Also, and back by popular demand, is the Priority Mail shipping option. As it turns out, numerous V2 Cigs customers requested it. And in true V2 Cigs style, they listened, and brought back the Priority Mail option. So now you have the following shipping options to choose from when you order from V2 Cigs: $5 Flat Rate (a new shipping option), Priority, Ground, 3-Day and Overnight. 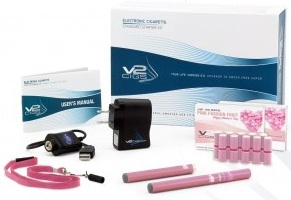 So check out V2 Cigs to see all that they have to offer. There's a reason they've been the #1 favorite among vapers for such a long time. Bottom line, they're truly great. Recently, BBC Global News interviewed Dr. Joel Nitzkin, head of the Tobacco Control Task Force at The American Association of Public Health Physicians (www.aaphp.org). They wanted to learn more about e-cigarettes and wondered, "Will vaping catch on?" Vaping advocates say it's healthier than the alternative. In fact, it could save millions of lives. "When a person uses an e-cigarette and inhales the vapor, they refer to it as 'vaping' instead of smoking because there is no smoke. There is no combustion. There is only vapor." "A typical e-cigarette is a metal tube that has a drop of what they call e-cigarette liquid, a battery and a little heater element that's designed in such a way that when you inhale through the tube, the person using the e-cigarette inhales the vapor in a manner that feels like cigarette smoke. The vapor delivers a dose of nicotine similar to what one would get from a puff of cigarette, but without any of the other toxic chemicals in cigarette smoke." The BBC interviewer, asking for clarification, then said, "So when the vaper inhales the vapor, he or she gets the nicotine hit that they would from a drag on a regular cigarette, but there's no passive smoking, and presumable, there's less lung damage." "Yes, that's exactly the case. The lung damage, the cancer and the heart disease risk are all due to chemicals in cigarette smoke other than nicotine. The nicotine is almost totally harmless." In fact, nicotine does not cause any disease. So there you have it. These are direct quotes from a renowned medical physician who is at the forefront of promoting and protecting public health. 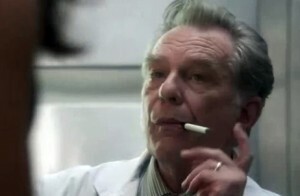 Btw, Dr. Nitzkin is NOT paid by, nor influenced by the e-cigarette industry at all. But the fact that he cares so strongly about public health and heads the Tobacco Control Task Force should speak volumes for ecigs. Andf I think that it does. NOTE: This does not mean that Dr. Nitzkin endorses ecigs. Whether he does or not, I really have no clue. I'm just relaying information and news that is obviously important for people to know. What's The American Association of Public Health Physicians? So who or what is the American Association of Public Health Physician? The AAPHP is a professional association of public health physicians. Their motto is "The Voice of Public Health Physicians - Guardians of the Public's Health". The AAPHP was founded in 1954, and since its inception it has been been recognized by the American Medical Association (AMA) as a medical specialty society, with formal representation in the AMA House of Delegates. Some of their major current issues include tobacco control, injury prevention, disease control, policy and management training, workforce issues, and issues pertaining to access to health care, health equity, health disparities, cultural competence and preventive services. Are e-cigarettes safe? Well, I'll leave that one up to you to figure out for yourself. But based on the opinions and testimonies of doctors the world over, the answer is pretty much "Yes". E-cigarettes don't produce any actual smoke, and the e-liquids themselves generally contain only distilled water, nicotine (which is optional! ), and USP Grade glycerin. Some e-cigarette e-liquids also contain natural and artificial flavors. Of course, these flavors depend on what you flavors enjoy when vaping...vanilla, chocolate, coffee, cherry, menthol, regular tobacco, etc. So if you smoke tobacco cigarettes, I think the answer is quite clear. Either quit smoking completely, or switch to e-cigarettes instead! Ever since Johnny Depp vaped an e-cigarette in the movie The Tourist (video below), more and more people have been asking which celebrities use e-cigarettes, and searching online for the celebrities who use e-cigarettes. Well, truth be told, many celebrities use e-cigarettes nowadays. And like so many other very smart people, Hollywood celebrities have also said goodbye to regular tobacco cigarettes...forever! And so, e-cigarettes are popping up everywhere. From talk shows, to sitcoms, to Hollywood movies. From A-listers, to B-listers, to C-listers. They've all come to recognize the many benefits of e-cigarettes vs. regular tobacco cigarettes. 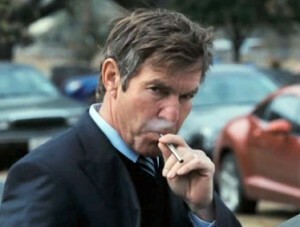 Dennis Quaid - Celebrity e-cigarette sightings don't end on the small screen. In fact, a wide range of celebrities have been seen vaping on their ecigs. In this photo, Dennis Quaid was spotted vaping his ecig in a Hollywood parking lot. Natasha Lyonne - In this photo, Natasha Lyonne, star of American Reunion, talks about her ecig while on OWN's The Rosie O'Donnell Show. When asked, she said that a major health scare (open heart surgery) caused her to make the switch to ecigs, and that she hasn't looked back since! Ronnie Wood - Ronnie Wood of the Rolling Stones vapes an e-cigarette. With his reputation for drug and alcohol abuse, Ronnie Wood's appreciation of electronic cigarettes is surely a testimonial for their viability as an alternative to regular tobacco cigarettes. Rock on Ronnie! "It may be the only thing about this century that I have found bearable." Leonardo DiCaprio - In this photo, Leonardo DiCaprio vapes on his e-cigarette while riding his bike around town. 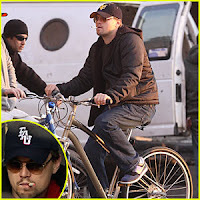 The actor was biking through Manhattan's East Village with fellow actors Lukas Haas (Inception), Tobey Maguire (the Spider-Man film trilogy) and Kevin Dillon (Entourage, Platoon). Two days later, he was also seen vaping away on an e-cigarette in Los Angeles, while grabbing some Chinese food with friends. And yeah, here's that movie scene with Johnny Depp vaping an e-cigarette in the movie The Tourist. It's the scene where Frank Tupelo (Johnny Depp) first meets Elise Clifton-Ward (Angelina Jolie). So there you have it. And in case you were wondering which other celebs use ecigs, here's a quick list. Note that this isn't all of them, obviously. Note: These results are due to a Google search for celebrities who use e-cigarettes, and are supported by photos of them actually vaping on ecigs. Individual results may vary, lol. 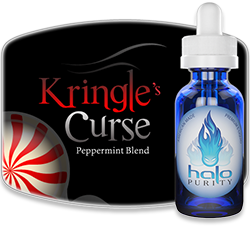 Want Awesome Ecigs and E-liquid? Then all I can say is check out V2 Cigs. Without a doubt, they're the best ecigs we've come across thus far. 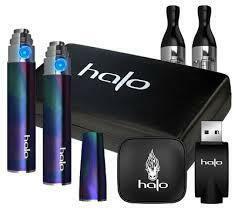 All their e-cigarette products are topnotch, and definitely exceed expectations. Basically, the best you can get. That, and they come with the V2 LIEFTIME Warranty. -The V2 Lifetime Warranty never expires. So be sure to check them out! Some e-cigarette mods are poorly made. In this how-to video SteelJan shows you how to spot a bad mod so you'll know when to send it back and ask for a full refund. Some ecig mods just develop problems, and occasionally something just breaks. She'll show you how to spot the problem and fix the mod. 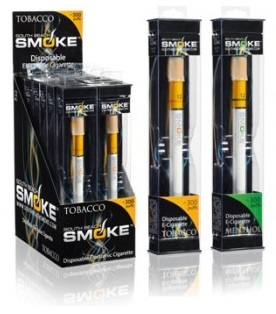 South Beach Smoke, a highly popular ecig brand, has just introduced their brand new disposable e-cigarette. These disposable e-cigarettes are modeled from South Beach Smoke's signature ecig design, and come with the same features that their non-disposable e-cigarettes come with. Features like: an ultra-comfortable silicon mouthpiece and an orange LED ash light that glows when you inhale the ecig vapor. So where do they differ in the actual construction? Well, the other South Beach Smoke Designs are 2 and 3-piece models, whereas, the new disposable is a 1-piece design, housing the battery, cartridge and atomizer. In addition, the South Beach Smoke disposable e-cigarettes are also pre-filled with the liquid nicotine. And because they're disposable, there's no charging of the battery. Basically, they're designed to be smoked as soon as you take them out of the package. According to South Beach Smoke, "...sometimes you just need the simplest, easiest way to get your nicotine. Even for electronic smokers, sometimes when life gets too hectic, it may seem that just grabbing a pack of regular smokes here and there will be okay. But when the tobacco is out of your life, don’t you want it to stay that way?" For current e-smokers, the South Beach Smoke disposable e-cigarettes allow you to have South Beach Smoke quality without needing to charge batteries. And whether you're a college student, or a professional with a really hectic schedule, the South Beach Smoke disposable e-cigarette is an excellent addition to your ecig repertoire. 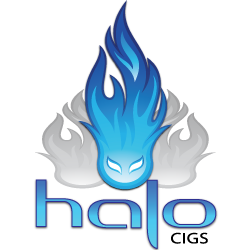 • Ecig Coupon Codes - Get 10% off all e-cigarettes, e-liquid and accessories! 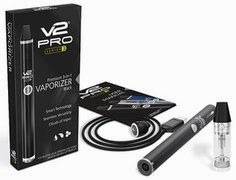 This week there is some more great news from V2 Cigs, the e-cigarette company that is leading the pack in the ecig industry (for several reasons). V2 Cigs has announced that it will now offer $5 flat rate shipping on all orders placed in the U.S. So whether you order a Power-Cig, a V2 Starter Kit, or any number of other things, standard mail shipping is only $5. And that's regardless of weight. So now you don't have to worry about how much the shipping price will be on your V2 Cigs order. As long as your shipping address is within the U.S., the rate is just $5, regardless of weight and regardless of the number of products you order. These new changes will save you money on every V2 Cigs order you make. And if you want to save even more money (and who doesn't), use the V2Cigs.com coupon code "fullvapor" to save an additional 10% on every order. Just see the end of this post for more details. Along with the $5 flat rate, V2 Cigs will now also offer free shipping on all orders over $200. That's right, free. Again, this is for orders within the United States, and via standard mail delivery. Of course, expedited shipping options will still be available, including Ground, 3 Day delivery and Overnight shipping. IMPORTANT: Their prices are still the same. 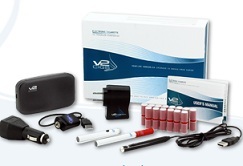 Unlike many of the other e-cigarette companies, V2 Cigs doesn't inflate their prices in order to offer free shipping. Adding the $5 flat rate and free shipping option is just one of the many steps V2 Cigs is currently taking to enhance the ordering process. 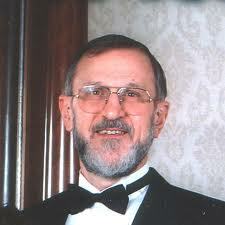 "We've made these changes in the spirit of simplifying the ordering process. The lower shipping prices reflect our ongoing commitment to our customers. Flat-rate and free shipping is something our dedicated clientele have been asking for and it's something we're really excited about providing." Use V2 Cigs coupon code "fullvapor" to get 10% off ALL your orders! Just enter this coupon code when you place your order and you'll save 10% on any purchase at V2, no matter what you get. You can use this coupon code every time you order. It does not expire. The new MAGMA Clear Cartomizers by Volcano Ecigs are a new take on a classic Volcano carto design. 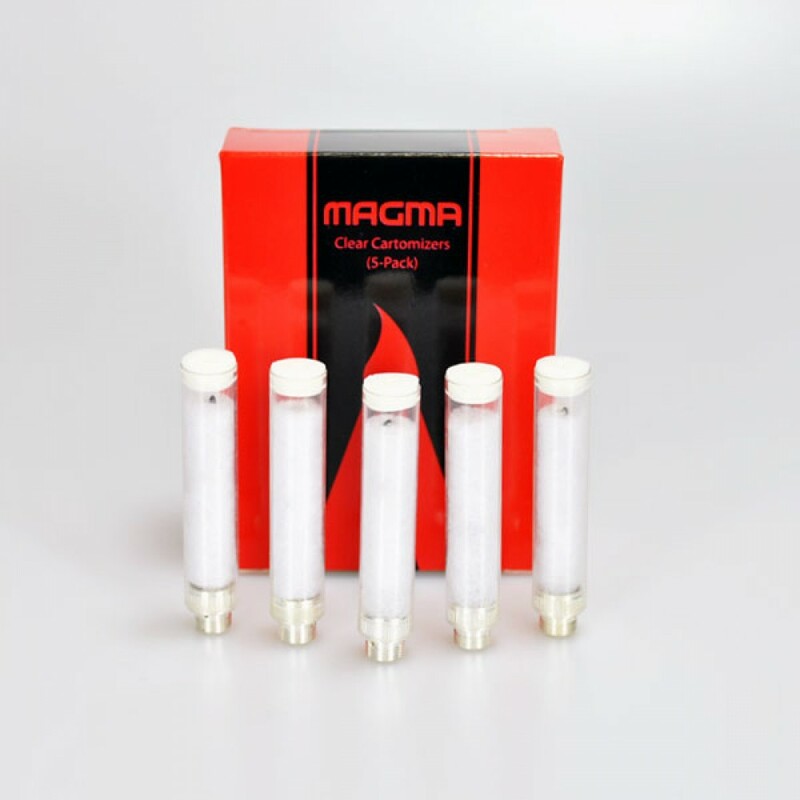 The new MAGMA Clear Cartomizers are built using the same construction concept as their Tube Tank Refill cartomizers. So yeah, they're refillable as well. But there are a couple of key differences here. One, these cartos are clear. And because they're clear, you can easily see how much e-liquid you have left. And two, they doesn't require a tank (tankomizer). You can simply fill them with e-liquid and you're immediately ready to vape! The new Volcano Ecigs clear cartomizers are now in stock (and on sale) for $10.99 for a pack of 5 blank cartomizers. They're dual coil cartomizers with a low 1.5 ohm resistance. Note: These new Volcano clear cartos will be available in 2.0 ohms very soon. Apparently, there was a mix-up at the factory, and the first shipment arrived with the 1.5 ohm resistance rating. All shipments after the first one will be 2.0 ohm rated dual coil cartomizers. How Do You Fill These Clear Cartomizers? To fill (and refill) the Volcano Ecigs MAGMA Clear Cartomizer, just pop off the top rubber cap and drip your e-liquid (also referred to as juice) down onto the filler inside the cartomizer until the e-liquid saturates the filler. Then, just put the cap back on. Add a drip tip and you're good to go! Wanna save even more money on all your ecigs, e-liquid and flavor cartridges? And how about saving money on your all ecig accessories as well? Well, then I have some really great news for you. With the new V2 Cigs coupon code you can do just that! The new V2 Cigs coupon code allows you to save 10% on all purchases, no matter what you buy! 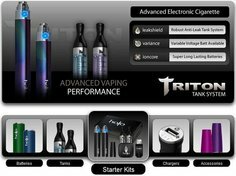 You'll save 10% on e-liquid, flavor cartridges, drip tips, charging cases, lanyards, etc. With the new V2 Cigs coupon code, everything is at a 10% discount! So What's the V2 Cigs Coupon Code? Thanks to V2 Cigs, we're able to offer this special ecig coupon code for our readers. So a big thanks to YOU for your continued support! And a big thanks to V2 Cigs as well for offering this coupon code for all the awesome readers here at Full Vapor™. In this week's electronic cigarette news, leading ecig brand V2 Cigs announced that it's offering a special edition (limited edition!) 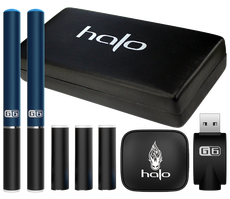 electronic cigarette starter kit for Mother's Day. The V2 Cigs Mother's Day Starter Kit is designed especially for moms, and is not only a pretty pink (with pink batteries and a matching pink lanyard), but also comes with special edition Passion Fruit flavor cartridges. Yeah, it's quite adorable! This looks to be a great Mother's Day gift for any mom who still smokes regular tobacco cigarettes. Now you can give her a gift that not only eliminates all that nasty smoke, tar and carbon monoxide, but one that will save her money as well. -Electronics cigarettes are a lot cheaper than regular cigarettes. Note: These are limited edition, and only available while supplies last! So kudos to V2 Cigs. They've really been stepping up their game recently. First, with their launch of the New V2 Cigs about two weeks ago, and now with their special edition Mother's Day pink ecig starter kit. These are perfect examples of why they're the #1 ranked ecig website in the U.S. and internationally, and a real favorite among the vaping community. V2 Cigs is definitely intent on providing the most intuitive and customized ecig and vaping experience by offering quality products and consistent innovation. They're recognized as a leader in the ecig industry due to their ever-expanding product lines, powerful vapor production, great taste and overall devotion to excellence. Bottom line, they're a great smokeless alternative to regular cigarettes...and at a fraction of the cost. The most difficult task faced by the team at V2 Cigs was deciding which delicious flavor to include in the special edition Mother's Day starter kit flavor cartridges. So, after a few months of flavor testing, and a few good-spirited debates, a unanimous decision was finally reached. And with that, V2 Cigs introduced the brand new limited edition ecig flavor: Passion Fruit! This delightful new flavor is sure to be one of Mom's favorites, and perfectly compliments the pretty pink Mother's Day starter kit it comes with. Btw, these special edition V2 kits are only up for grabs until supplies run out. So if you want one, I suggest you hop on it now before it's too late!